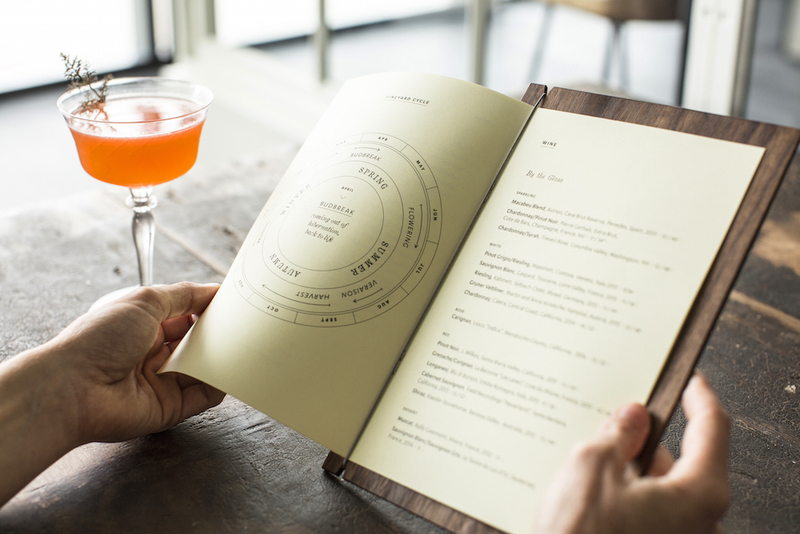 The humble drink menu is often a guest’s first chance to interact with your brand up close. As a bar or restaurant owner, it’s your first opportunity to make a lasting impression. So what’s the recipe for a memorable drink menu? First, as with any branding initiative, you’ll need an understanding of your prospective drinker. Is she serious about her whiskey choice? Is he curious about the winemaking process? Does she appreciate a clever music reference? With that profile in mind, you can find ways to infuse your brand’s personality through menu copy, structure, or otherwise. As you’ll see below, the drink menu that works for a lo-fi pizza joint is not the same menu that will work for an educational fine dining experience or a well-versed whiskey lounge. More than a punk-rock pizzeria, Firecracker boasts a serious beer list. 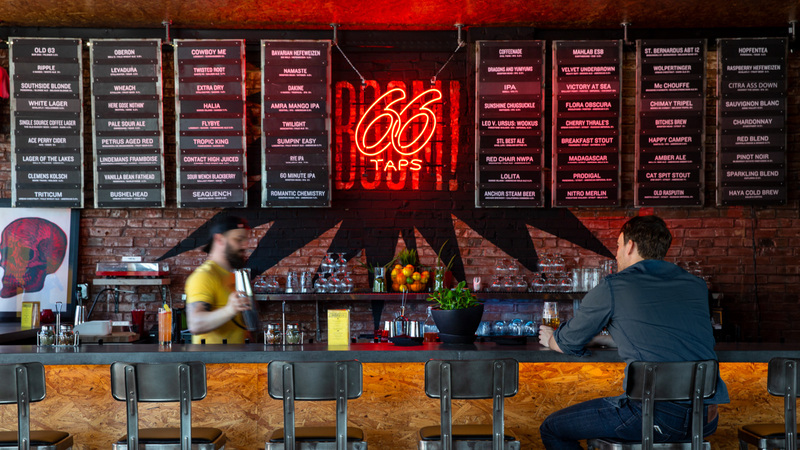 The bar features a glowing neon “66,” calling attention to the impressive number of microbrews on tap from near and far. With kegs in constant rotation, printing a new set of paper menus multiple times each night just didn’t make sense, particularly for a certified green dining establishment. A screen, meanwhile, wasn’t a fit for Firecracker’s lo-fi look and feel. Instead, the team opted for a sliding placard system not unlike an old-school gas station price sign. As beer options come and go, bar staff can quickly print and swap panels to match what’s currently on tap. At Vicia, every touchpoint is designed to engage guests in the dining experience, and the botanical beverage menu is no exception. Browsing the wine list, diners can learn about the winemaking process based on where we are in the production cycle, from budbreak to flowering, veraison, harvest, and so on. Over on the beer list, Vicia provides a primer on the four primary ingredients in beer-making: barley, malt, hops, and yeast. The perfect destination for your vegetarian, whiskey-loving friend, Small Batch boasts a collection of more than 145 American whiskeys, bourbons, and ryes. 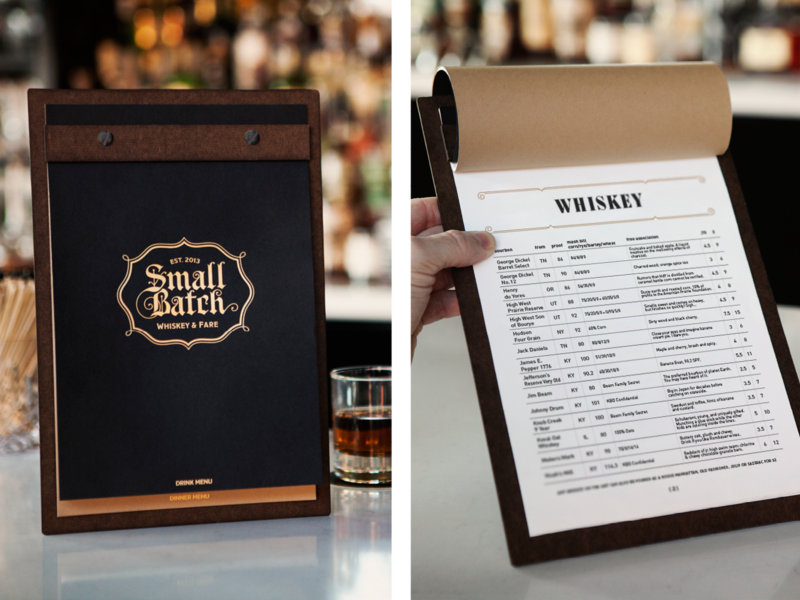 This purposefully dense drink menu was designed to satisfy the curiosity of a whiskey connoisseur. The multi-page list offers a deep dive into everything you’d ever want to know about your whiskey, from proof, origin, and mash bill to a bit of free association (“Chocolate-hazelnut biscotti, swirled in a mug of Robitussin”). Fizz & Folly was a centennial celebration of the world’s first cocktail party, which took place right here in St. Louis in 1917. Setting up shop in the middle of the late-great LouFest, Fizz & Folly lured festival-goers from traditional beers and well drinks to high-end cocktails. Beer-Centric, But Not Too Serious: Rockwell Beer Co. When it comes to beer, Rockwell is knowledgeable, yet approachable. 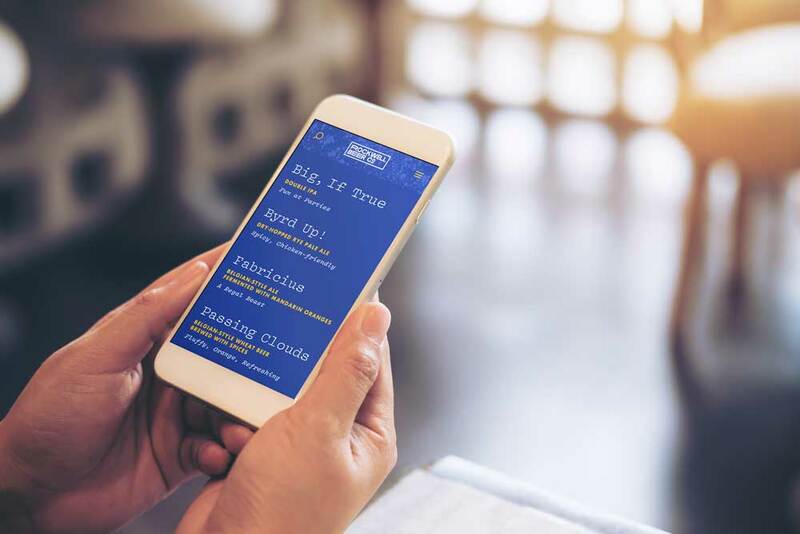 That accessibility carries over to the beer list, where casual beer drinkers can scan screens above the bar without the burden of unnecessary detail. Beer aficionados, on the other hand, will we able to pull up rockwell.beer (coming soon!) right on their own devices, taking the time to mull over every subtle note of the beers on tap. Wherever the bar and whatever the beverages, a successful drink menu begins with a deep knowledge of your drinkers. Like a great bartender, it’ll show some personality and tell you exactly what you need to know about the selection — no more, and no less. 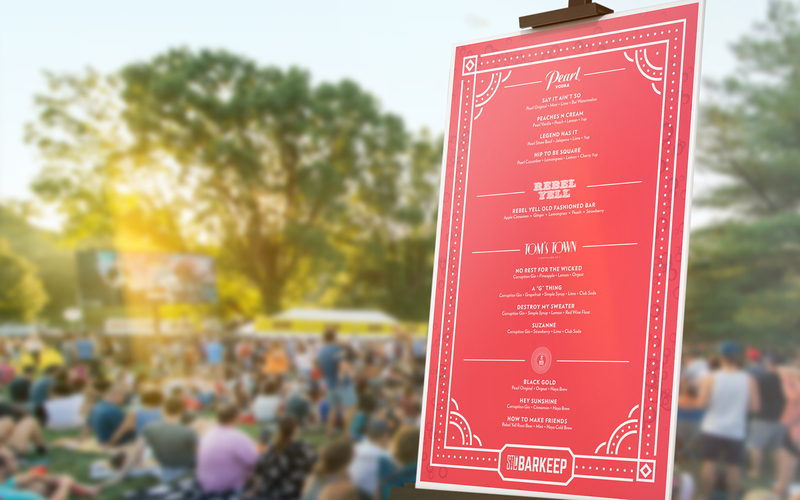 With menus on the mind, pour yourself a glass and check out the rest of our drink series.